The Turkish Navy is expected to receive the first nationally built aircraft carrier, the TCG Anadolu, which can be configured as a light aircraft carrier on 2021, said ahaber.com.tr on 18 July. 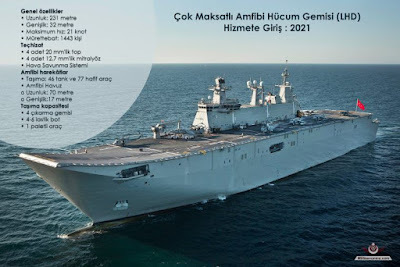 Turkish news website reported on 18 July that the TCG Anadolu multipurpose amphibious assault ship will be delivered to the Naval Forces Command in April 2021. 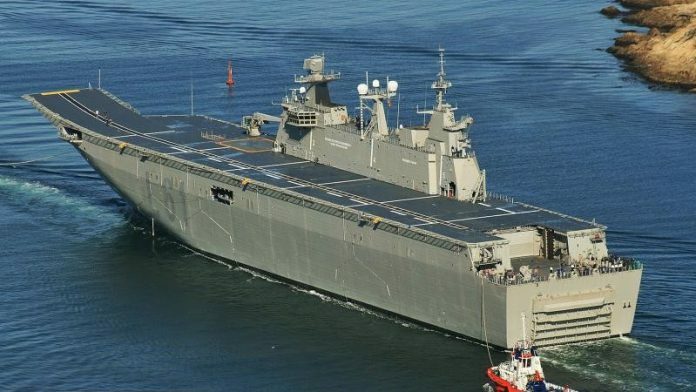 With the multipurpose amphibious assault ship joining the navy, Turkey will be one of 14 countries in the world with an aircraft carrier. 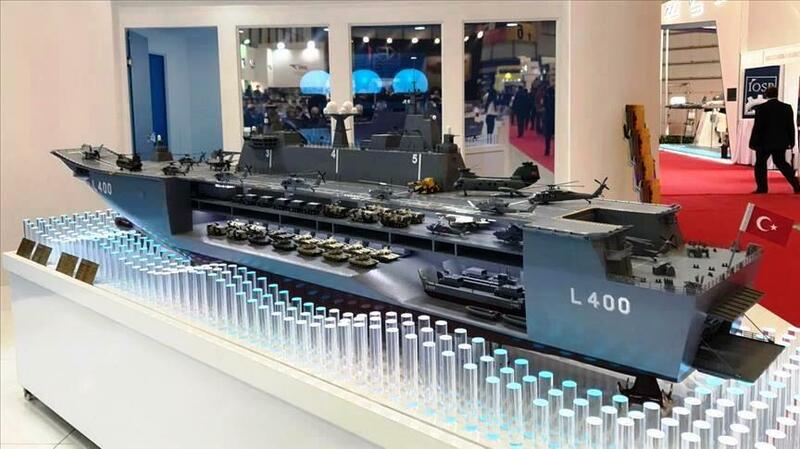 The TCG Anadolu, which is being produced with a local content ratio of 68 percent, will be one of the world’s most advanced aircraft carriers. The 32-meter-wide giant ship will be capable of moving 9,000 miles (14,500 kilometers) without refueling. 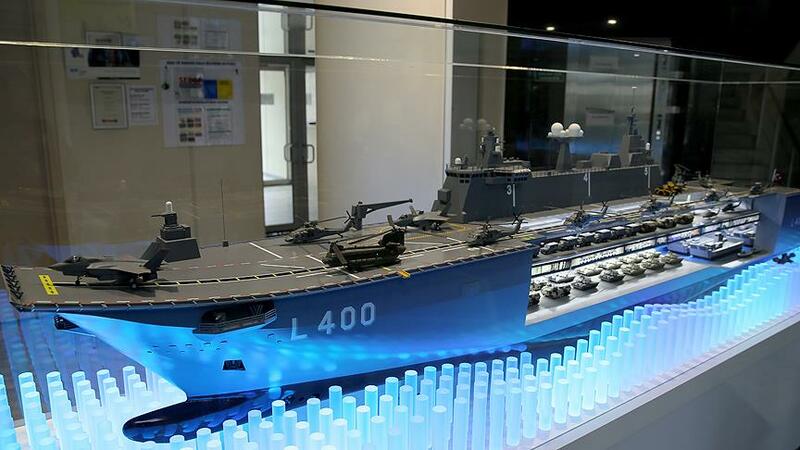 The production of the highly anticipated attack ship, which consists of 114 blocks, will boost the capacity of Turkish naval forces and increase the operational capability of the Turkish Navy. Officials said in March approximately 90 percent of the [building] blocks were at the end of production, adding that immediately after the manufacturing phase, fittings will be carried out. The construction works began on 30 April 2016 at the shipyard of Sedef Shipbuilding Inc. in Istanbul, with the keel being laid 7 February 2018. 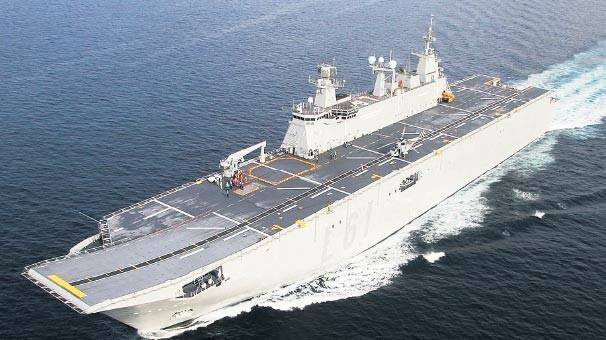 The TCG Anadolu multipurpose amphibious assault ship is based on the Spanish LHD Juan Carlos I and Australian Canberra-class landing helicopter docks and can be configured as a light aircraft carrier. It will be capable of operating up to 12 F-35B STOVL stealth multirole combat aircraft and 12 helicopters in “light aircraft carrier” configuration. 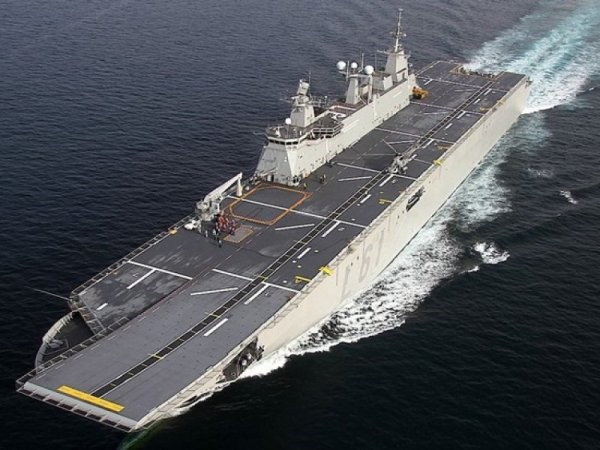 The new multipurpose amphibious assault ship has a 5,440m² flight deck and a 990m² aviation hangar which can accommodate either 12 medium-size helicopters or 8 CH-47F Chinook heavy-lift helicopters. 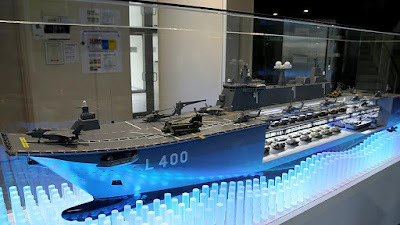 Additionally, the ship will have a 1,880m² light cargo garage for TEU containers and 27 Amphibious Assault Vehicles (AAV); a 1,165m² dock which can host four Landing Craft Mechanized (LCM) or two Landing Craft Air Cushion (LCAC), or two Landing Craft Vehicle Personnel (LCVP); and a 1,410m² garage for heavy loads, which can host 29 Main Battle Tanks (MBT), The ship’s crew will consist of 261 personnel: 30 officers, 49 NCOs, 59 leading seamen and 123 ratings. With a displacement of 28,000 tonnes at full load and a length of 225 meters, the ship will be capable of reaching speeds of up to 21 knots.